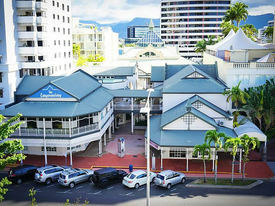 98 Commercial Real Estate and Properties in Cairns are listed in 8 categories. We have 103 Retail Shops for Sale & Lease , 64 Offices for Sale & Lease , 42 Industrial Warehouses for Sale & Lease , 21 Development Lands for Sale & Lease , 5 Commercial Farms for Sale & Lease and 4 Hotels and Leisure for Sale & Lease . Woree Shop/office For Lease Contact agent Scott Green..
30 sqm shop/office for lease in Woree, close to three schools and Cairns' largest holiday park Only 10 minutes to CBC Previously a laundromat, lessor will remove all equipment and refurbish providing a clean shell with air conditioning Cheap rental, easy access and numerous car parks available. Contact: Exclusive agent Scott Green Ray White Commercial Cairns for more information. Furnished Office For Lease - Available Now Contact agent Grant Timmi..
130 Abbott Street, Cairns near Muddies on the Esplanade 35 sqm open plan office with furniture or without see photos Available now Ad hoc car parking on same level Lift access or stairs Fully air conditioned Shared amenities on same level Plenty of on street parking Contact: Exclusive agent Grant Timmins Ray White Commercial Cairns for more information. Spence Street Ground Floor Office Or Retail For Lease Contact agents Helen and ..
High visibility corner site Ground floor office or retail 102 sqm approximately Front reception and three offices Air conditioned Large boardroom/training room Large kitchen Internal bathrooms On site car parks available Contact: Agents Helen and Grant Ray White Commercial Cairns for more information. 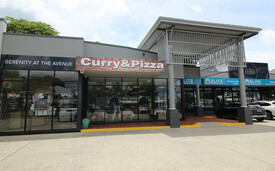 Opportunity To Lease Shop Or Office Space - Southern Suburbs Contact agent Scott Green..
Clean, open shell for lease. Very busy centre with easy access and good car parking. Close to schools, Cairns Coconut Caravan Resort and situated next to a roundabout. Part of a small complex of shops and offices and the premises has rear access and a kitchenette. Contact: Exclusive agent Scott Green Ray White Commercial Cairns for more information. Office For Lease 71 Sqm Bungalow Contact agents Helen and .. This office suite for lease on Mulgrave Road has been recently refurbished. The renovation included new floor, new paintwork, new air conditioners and new window blinds. On the first floor, this tenancy comprises two large working areas, reception, office areas with kitchenette and large boardroom/training room. There are good views over Mulgrave Road to the hills and good on street parking. There is one secure car park that is accessed by roller door remote behind the building. Male and female bathrooms are adjoining and accessed via the building foyer. Conveniently on Mulgrave Road, very close to Cairns CBD. Great exposure and signage available. 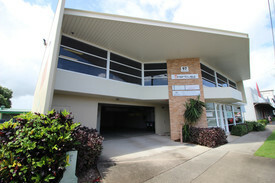 Contact: Exclusive agents Helen and Grant Ray White Commercial Cairns for more information. 230 Sqm Fringe Cbd Office For Lease Contact agent Scott Green..
220 Severin Street ground floor office with front and rear car parking allocated to this tenancy six in total. Numerous off street parking as well. Office is fully air conditioned and has a large, open work area, a number of partitioned offices, male and female toilets, a full kitchen and a large, rear training room. Lessor has kept rental at affordable levels, tenancy available mid 2019 inspect now. 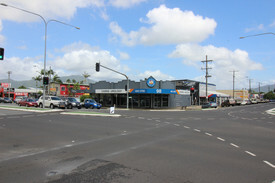 Contact: Exclusive agent Scott Green Ray White Commercial Cairns for more information. Affordable Fringe Cbd Office Contact agent Grant Timmi.. Situated on the first floor of a converted Queenslander in Draper Street close to Scott Street intersection. Approximately 125 sqm of older style office space. One very large reception/boardroom with balcony, four separate offices, kitchen including fridge and microwave and bathroom. The rear of the building fronts Robb Street giving access to car parks. Plenty of on street parking. 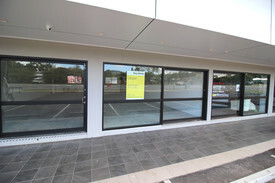 Contact: Exclusive agent Grant Timmins Ray White Commercial Cairns for more information. Spence Street Fringe Cbd Office For Lease 102 Sqm - With Views Contact agent Grant Timmi..
Second floor open plan office for lease Approximately 102 sqm Includes one secure undercover car park Four on site shared undercover customer car parks Walking distance to Cairns Central Work stations included in fit out Available now Access via stairs only Kitchen/staff lunch room Fully air conditioned or windows can be opened for fresh air Contact: Agent Grant Timmins Ray White Commercial Cairns for more information. Office For Lease 100 Sqm Refurbished Contact agent Grant Timmi..
First floor office suite available in the well known Woree Business Plaza Entry with waiting room, built in reception desk and printer station Three offices, all with a window and nice views The middle office has lockable storage Data switch point and multiple network points throughout the office Fully air conditioned Shared amenities on first level The complex offers excellent car parking and is priced to lease quickly Contact: Agent Grant Timmins Ray White Commercial Cairns for more information. 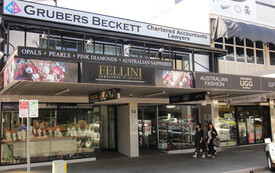 Spence Street 186 Sqm Open Plan Office For Lease Contact agent Grant Timmi.. This open plan office of 186 sqm is now available to lease. Ideal for fitness studio. Rear separate stairwell access with patio. 2 x offices (17 sqm and 13 sqm). Full sized kitchen and lunchroom. Male/female toilets and shower. 2 x allocated undercover car spaces. 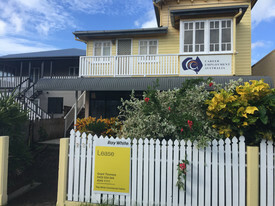 Contact: Agent Grant Timmins Ray White Commercial Cairns for more information. Refurbished Shopping Centre In Mooroobool - Food/retail/office For Lease Contact agents Helen and ..
Popular suburban shopping centre situated on the intersections of Swallow, McGregor and Callum Streets tenancy for lease. The centre services the established residential areas of Kanimbla, City View and Silky Oak Court green street development. There is high traffic flow through to Ramsay Drive leading to Cairns western arterial road. Tenancies include IGA supermarket, Liquorland, a hairdresser and popular assorted takeaway food. Ex news agency site of 57 sqm suitable for bakery/butcher/beautician/retail/office. The building has undergone an extensive renovation and has plenty of on site parking. Rear entrance for deliveries. 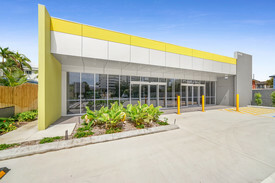 Contact: Exclusive agents Helen Crossley and Grant Timmins Ray White Commercial Cairns for more information.